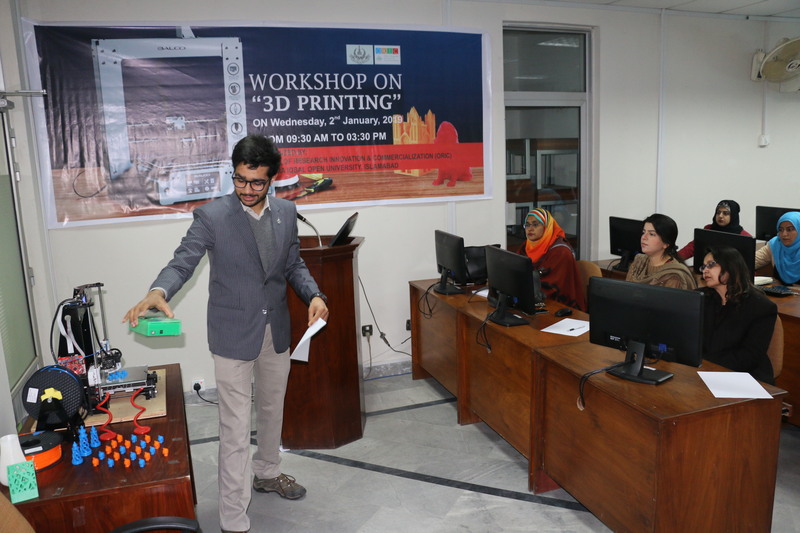 3D Printing or Additive Manufacturing is a process through which three-dimensional (3D) solid objects are created. It enables the creation of physical 3D models of objects using a series of additive or layered development framework, where layers are laid down in succession to create a complete shape. 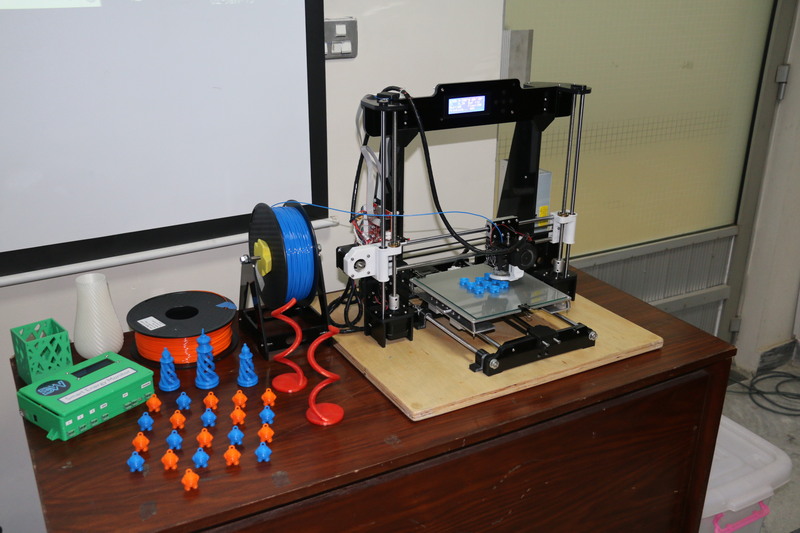 Industries that use 3D printers include engineering, architecture, medical, industrial design, construction and many others. 3D printing enables these industries to produce complex (functional) shapes using less material than traditional manufacturing methods. 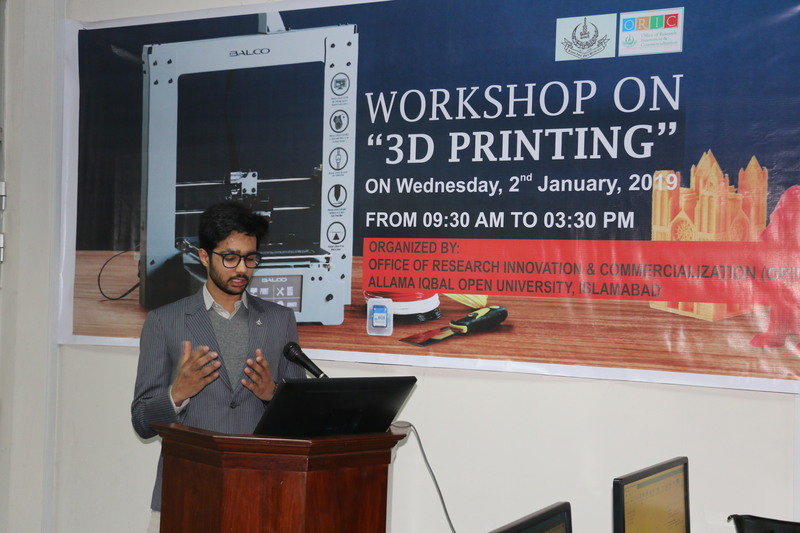 Keeping in view the importance of 3D printing in modern era and its relevance to innovation, the Office of Research Innovation and Commercialization (ORIC) was organized One-day Workshop on “3D Printing” on Wednesday, 2nd January, 2019 at Academic Complex. 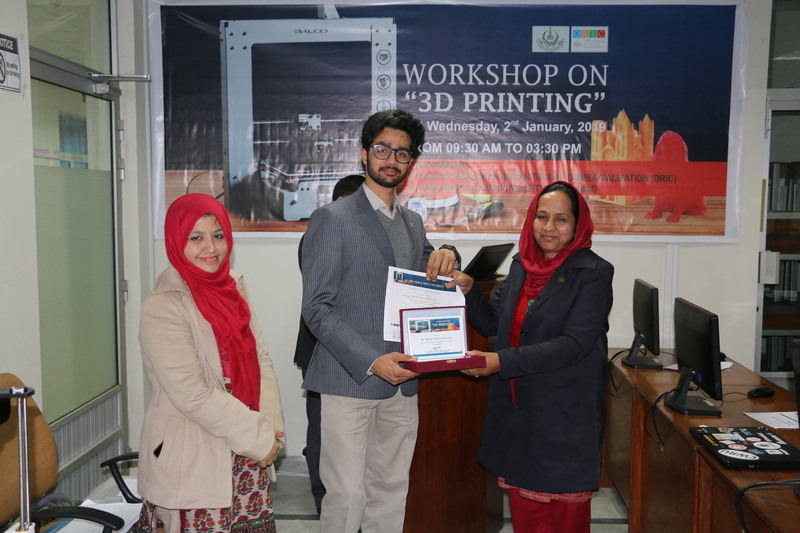 Mr. Badar Jahangir Kayani, Lead Technician, Think[Box], Case Western Reserve University, Cleveland. 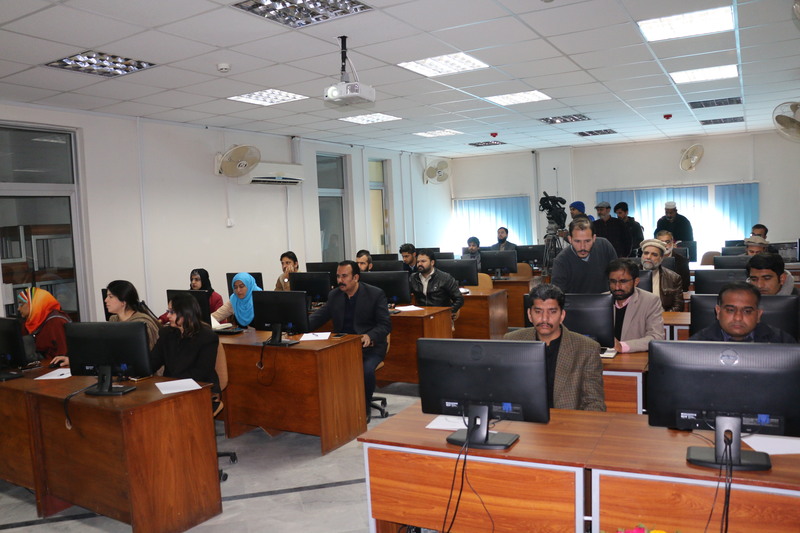 © 2019 ORIC - Allama Iqbal Open University, Islamabad.